Recently, there was a demonstration at our office. The representatives from AES held a demonstration of their products: AES 125 Part A & B, and AES 300 Caulk. I had a piece of CDX 2’ x 1’. It has a granular surface modification cap sheet on which you attach a piece of TPO. Also, a piece of Metal with galvanization and 500 paint finish metal. Some of the granular surfaces has undergone modification. All these were coated with the Epoxy Roof Coating System. Meanwhile, the team also brought a fish tank and another piece of granular surface modification roll roofing. A coating of all the materials I had waiting for them. They submerge a piece of the granular surface after modification. It was covered it with 2” of water and an application of the coating underwater which was perfect. There was no bleed off or chemicals that mix with the water. They again submerge a piece of granular surface, puncture it approximately a third of an inch. Then they apply a coating of their AES 300 Caulk to it and pick it up immediately in the shape of a serving dish. So it would hold all the water and there was no leak and there was no bleed off. After the application of the AES Epoxy Roof Coating System, there was an immediate stoppage in the leak. How does Epoxy roof coating work? I was very surprised at the results of how well everything was performing. You can embed a piece of cotton fabric into the coating and modification of the roof. And when I pulled on it a day later, it didn’t let it free or loose without breaking the fabric. However, the fabric that was embedded into the AES Epoxy Roof Coating System didn’t come off. We were filming the entire demonstration and are in the process of preparing the video for upload to YouTube. Seeing this demonstration was an eye opener in regards to Epoxy Roof Coatings as before I always favored elastomeric & acrylic coating systems. Technology is rapidly developing in the roof coating market. Building owners are realizing that they can save their roof by using a premium coating. 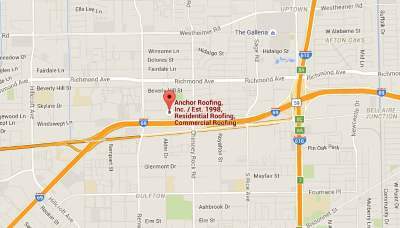 We have an experience of installing Roof Coating for over a decade and there are no reports of failure. This means that 50% of it is the coating and 50% of it the applicator or roofing company applying the coating. Most roofs that are best for a Roof Coating also require additional repairs to be made prior to coating application. Some coating manufacturers are endorsing painters as applicators. This makes no sense to me as painters are not roofers and do not understand everything about the preparation stage of a roof for a Roof Coating Application, particularly an Epoxy Roof Coating System. You can use Epoxy Roof Coatings as an emergency repair during bad weather in the event of an emergency service call while raining the AES 300 caulk will adhere underwater, there is no bleed out. Its superior to wet/dry roofing cement commonly used for these types of emergency repairs + the elongation is 200% and it will cure underwater in the same amount of time as in dry conditions. The AES 300 is a perfect candidate for punctures or other roof leaks typically conducted as an Emergency Repair during bad weather. Also, there are no limitations on the relative humidity which is one of the drawbacks of common elastomeric/acrylic roof coating systems that is not a drawback with AES Epoxy Roof Coating System. Epoxy Roof Coatings can save time, and manpower, which in turn saves money. Our YouTube video will be up soon, as we believe: that we can show you better than tell you. One thing is for sure, Epoxy Roof Coatings work.